The massive Alayta shield volcano covers an area of 2700 sq km in the western Danakil depression SW of Lake Afrera. A series of very recent craters is aligned along the NNW-trending axis of the basaltic-to-trachytic shield. 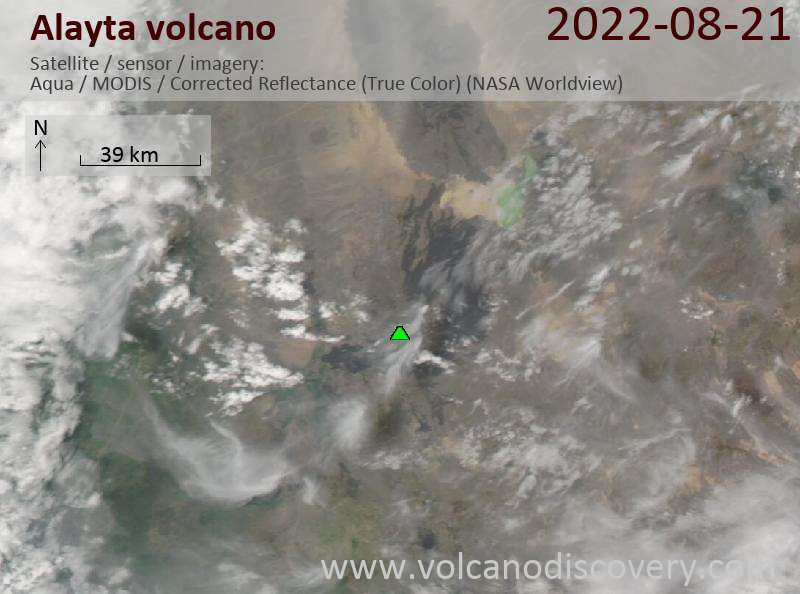 The Alayta lava field, covered by very fresh lava flows, was erupted from N-S-trending fissures along the east side of the shield volcano and laps up against the western flank of Afderà volcano. Two historical eruptions that were formerly attributed to Afderà volcano actually originated from Alayta. One of those eruptions, in 1907, produced a large lava flow from a SE-flank vent. Fumarolic activity occurs at two locations in the southern part of the complex.